CDC Melbourne (Oakleigh) has taken delivery of a new Scania K310UB (Volgren 'Optimus'). Numbered #147 it was spotted yesterday running rail replacement at Oakleigh. According to fleetlists Oakleigh is to receive another K310UB (numbered #146). Most of the other recent K310UB's and the K310IB Endura have been allocated to Geelong. This adds to the earlier reports of new delivery CDC Geelong #154 ending up at CDC Oakleigh as their #149. CDC Oakleigh Denning/Cat single door #10 now at Wyndham Depot - spotted it while touring the depot today. kadooment95 wrote: CDC Oakleigh Denning/Cat single door #10 now at Wyndham Depot - spotted it while touring the depot today. It has always been a Wyndham/Werribee bus since early 2015, It was only on loan to Oakleigh during December to assist with the Chadstone Staff shuttles. Not overly I would have thought. "Go or grow" I suspect is alive and well as it makes it easier for the PTV / DoT to manage as well as greater leverage over a larger operator who has more to lose than a smaller one. Look at the south east - one operator for all of the local-ish routes with another operator franchised to operate long distance routes. Ditto the north east and the west with the minor exception of Panorama. If anything, I'm surprised the north west has held out so long with multiple smaller operators. Ur referring to Ventura as the dominant operator here in the south east Krusty. Remember we have the smaller Pulitano family owned Cranbourne Transit too and i cant see them selling. Im well aware that offers have been put to them in the past. Ur referring to Ventura as the dominant operator here in the south east Krusty. Remember we have the smaller Pulitano family owned Cranbourne Transit too and i cant see them selling. I'm well aware that offers have been put to them in the past. True, I had forgotten about Pulitano. However, I wouldn't assume that if the price was right then they wouldn't sell. How is Northern Bus Lines going? Wikipedia also suggests they owned US Bus Lines as well - now part of Ventura. Or is there some aspect of the Pulitano family holdings that explains the past sales whilst precluding future sales, especially if selling something in Victoria for a good price enabled future opportunities with better growth elsewhere, eg, with their Queensland operations? Even so, it would be hard to argue against Ventura being the dominant operator in the east and south east. 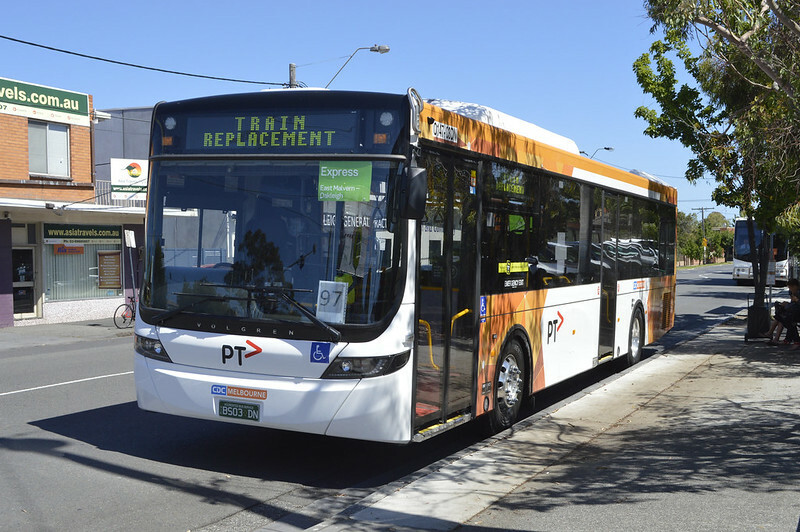 CDC has ordered 50 new Euro 6 hybrid buses for it's Melbourne operations. They'll feature Volvo chassis with Volgren 'Optimus' bodies. The first will be delivered later this year. Thebusofdoom wrote: CDC has ordered 50 new Euro 6 hybrid buses for it's Melbourne operations. They'll feature Volvo chassis with Volgren 'Optimus' bodies. The first will be delivered later this year. Hi all! At work today, I was told that CDC Oakleigh would be receiving a leased Mercedes of some sort. I can't see the demo Mercedes Citaro on the fleetlists anywhere(and I can't remember the rego) - maybe we're getting something newish to try out, or one of the O500LE's from Ballarat is being transferred? cal_t wrote: Strike coming up for all depots bar Tulla on coming Tues. No routes running. kadooment95 wrote: Hi all! At work today, I was told that CDC Oakleigh would be receiving a leased Mercedes of some sort. I can't see the demo Mercedes Citaro on the fleetlists anywhere(and I can't remember the rego) - maybe we're getting something newish to try out, or one of the O500LE's from Ballarat is being transferred? Searching the VIN of the Citaro brings it up as registered in Victoria (1HD2YJ) and it has been since 2017 which is around the same time that it was withdrawn from the BT fleet. Whether it is still here or not is a different story. Turns out its the Ex-CDC, Ex-Transdev, now CDC (again) Mercedes O500LE/BCI! Will now be Oakleigh #O136. Spotted today was CDC Geelong #138 (Volvo B7RLE, Volgren “CR228L”) on the back of a flatbed truck headed towards Melbourne. This could possibly be the same CR228L unit I saw disabled on Anakie Road in Bell Park last week, which had its route taken over by an older CR221L.